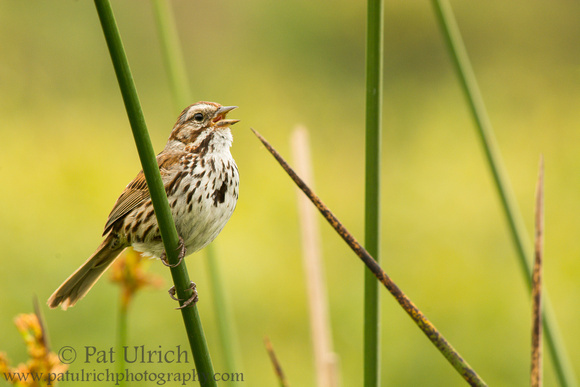 Pretty Song Sparrow, they are sweet birds. Lovely photo! What a superb shot! I can almost hear it singing! The best things come from small packages. This little guy looks so focused! that is a great shot of the Sparrow and he looks like he is is good singing voice. Gorgeous and I so want to get back to Point Reyes for a visit one day!